Village View originally sat 200 acres of land in 1726 to it reached its maximum recorded size of 4,990 acres in the eighteenth century. By the year 1986 the mansion was only on four remaining acers that were later given to the community along with the mansion by its last private owner Sidney Briggs, which the road was later named after. Even though Village View was once a huge plantation and home too many families and over thousands of slaves Village View has held many titles other than just a plantation. During the Civil War the front parlor was used as the site of council for was generals such as W.H.F. Lee, Wade Hampton, and Matthews Butler. Even though Village View is a Hotel you cannot just walk into the front door of the mansion any time you please you have to make an appointment with Mr. Woniak at (804) 634-8687 or (804) 634-2475 for a guided tour. Although Village View is often used as an inn or hotel for people to reside in there have been many rumors of ghost in the mansion. These rumors alone have drawn many spectators to the property. It has been said that when you are led into the basement of the mansion were many of the slaves lived or were held you can hear ghost chains rattling. I can account to these claims for my own personal experience while touring the home on a field trip. 1. Ray Sassey, Village View Foundation. 2. George Wozniak, interview by Prayona Terry, In discussion with Village View Mansion, November 25, 2014. 3. 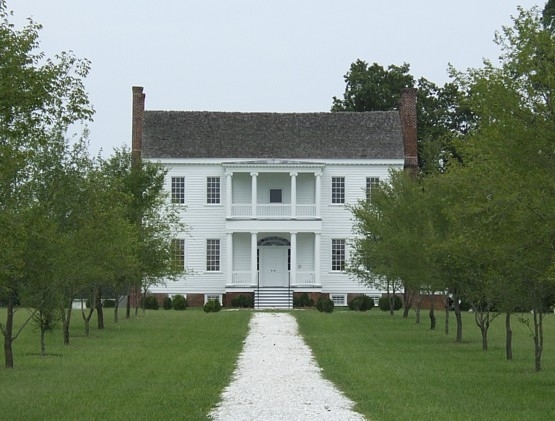 Village View Mansion, Historical Landmarks of Virginia, August 15, 2012.